Becky Wall Schultz is the Senior Vice President of Preconstruction and reports directly to the CEO. She is responsible for providing support and leadership through the preconstruction phase. She is responsible for the planning, budgeting and bidding. She makes certain that the project team has the resources required to ensure the quality of our services and to ensure the success of the project from the beginning. Becky has over 34 years experience in the construction industry. She began her career in the estimating department of a major healthcare builder/construction firm. After working her way through the ranks, she was promoted to Vice President in 1994. In 2001, Becky had an outstanding opportunity to use her talents at PARIC and joined them as a member of their Preconstruction Group. In January 2002, Becky was promoted to Vice President of PARIC and in 2016 she was promoted to the Senior Vice President. In her time here she has directed and reorganized all preconstruction aspects. Becky is a LEED Accredited Professional and is also a Certified Professional Estimator (CPE), a past President for the National Association for Women in Construction, and a past Regional Governor of the American Society of Professional Estimators (ASPE) Central Plains Region, serving 13 states. 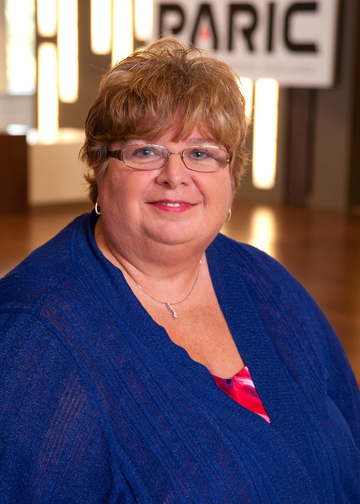 Becky was recognized by the St. Louis Business Journal in 2014, receiving the "Most Influential Business Women Award." In addition to her leadership role with the organization, she also is a two-time honoree as the ASPE’s "Estimator of the Year," is an Associated General Contractors of Missouri Chairman, sits on the AGC of Missouri Executive Committee, and is a CTAF Trustee for the AGC of Missouri.